Hello, my name is Garin Horner & I have been an exhibiting artist, author, & photo teacher for over 25 years. My passion for photography began in college when I spent a semester studying in Florence Italy. After undergrad, I went on to receive my MFA degree from Cranbrook Academy of Art, then travelled to Mumbai, India where I taught photography. Currently I teach at Adrian College & live in Ann Arbor Michigan with my Pilar & my 12 year old son, Archer. Garin Horner has been an award-winning artist and teacher for over 25 years. In 2015 he was the recipient of the United Methodist Award for Exemplary Teaching and the Adrian College Creative Activity, Research and Scholarship Award. Horner has taught in both secondary and higher education and is currently an Associate Professor of Art in the Photography program at Adrian College in Adrian, Michigan. He has a Master of Fine Arts Degree from Cranbrook Academy of Art and continues to exhibit photography nationally and internationally. In addition, Horner regularly gives presentations on Innovative Teaching at both Regional and National Society for Photographic Education conferences. He has several times been a Featured Speaker at the Great Lakes Conference for Teaching and Learning and at teaching and learning conferences like the Scholarship of Teaching and Learning (SoTL). Horner is an active member of the Flipped Learning Network and the Team-Based Learning Collaborative. Horner serves as a consultant and workshop leader for innovative teaching at the Adrian College Center for Effective Teaching (ACCET). 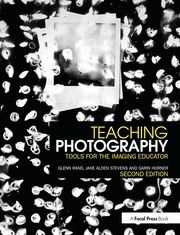 He is a certified Trainer-Consultant for Team-Based Learning and a co-author of Teaching Photography: Tools for the Imaging Educator, 2nd Edition. My areas of academic research are effective teaching within photographic education, team-based learning, experiential learning, & flipped learning. My fine art research is centered around producing & exhibiting photography. I exhibit widely nationally & internationally. I love to travel & photograph, especially with my students. Many of my students have never been out of the state, so it is wonderful to be able to introduce them to new cultures, new foods, and new learning experiences. We have traveled to many cities in the US. We have also gone to France and Italy.